Stephen is remembered on the war memorial at Holy Trinity Church, Ipswich. 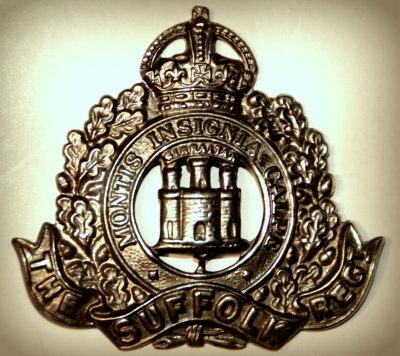 There are two Stephen Webb’s killed from Ipswich during WW1. Born: 1891, Bromley by Bow, Middlesex. Rank: Private; Service Number: 2304. Relatives Notified & Address: Son of Henry & Susan Webb’ of 31, Devonshire Road, Ipswich; husband of Beatrice Webb, of 25, Trinity Street, Ipswich. 1891 81, Cavendish Street, Ipswich. Stephen 4 months old and living with his parents, sisters & paternal aunt. Henry Webb, 26, a Dock Labourer, born Ipswich. Susan Webb, 29, born Ipswich. Ethel Rose Webb, 5, born Ipswich. Rose Lily Webb, 2, born Ipswich. Alice Webb, 12, born Ipswich. 1901 9, Albion Street, Ipswich. Stephen was 10 years old and living with his parents & siblings. Ethel, 15, a Cardboard Box Maker. Henry Webb, 6, born Ipswich. Lydia Webb, 2, born Ipswich. 1911 31, Devonshire Road, Ipswich. Stephen was 20 years old, a Quay Labourer – employed by father. He was living with his parents, siblings, brother-in-law and niece. Harry, 46, a Quay Stevedore. Henry, 16, a Plough Fitter – Agricultural Engineer – Ransomes, Sims & Jefferies. Rose Bickers (nee Webb), 22. William Walter Bickers, 22, an Engine Fitter’s Mate – Wholesale Provision Merchants – Burton Son & Saunders. Alice Lorna Bickers, 4 months, born Ipswich. Mabel B. Webb, born December 1912, Ipswich. Stephen Webb, born April 1915, Ipswich. Soldiers’ Effects to Beatrice Webb – widow.